Carolyn McCarthy and Mike McIntyre retire, one Republican wins by default. 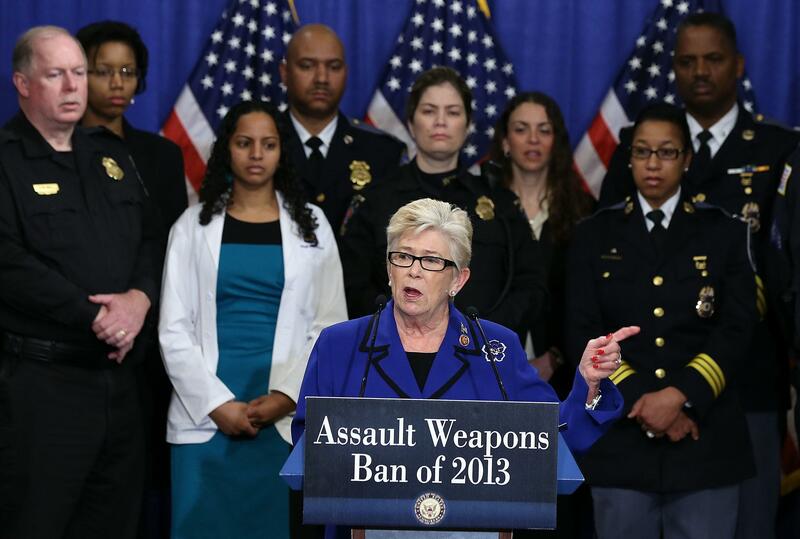 Rep. Carolyn McCarthy, D-N.Y., speaks against assault weapons at a news conference on Jan. 24, 2013, on Capitol Hill. John Bresnahan and Jake Sherman scoop that two Democrats, New York Rep. Carolyn McCarthy and North Carolina Rep. Mike McIntyre, will retire at the end of this year. Conventional wisdom, based on data and vote patterns: Democrats will hold the Long Island seat and lose the eastern North Carolina seat. But the authors went further and got a nice kiss-off quote from North Carolina Republican Rep. Patrick McHenry. Mike’s a talented politician and a nice guy, but there’s just no room for folks like him in the Democrat Party anymore. Nice use of “Democrat Party,” an incorrect formulation relied upon to piss the other guys off, and nice spin for what happened to McIntyre. In 2011 the GOP legislature redrew McIntyre’s swing seat, which had given 52 percent of the vote to John McCain, into a safe Republican seat that gave McCain 58 percent of its vote. The goal, no secret, was to make it impossible for the Blue Dog to hold on. Republicans were so bullish about victory that they gave McIntyre’s opponent an RNC speaking slot. And it almost worked—McIntyre won by fewer than 1,000 votes in a race that took days to call. *Correction, Jan. 8, 2014: This post originally misspelled Collin Peterson’s name.